Vanilla Sponge cake is light and airy almost sponge like. When I assembly and decorate a sponge cake, I like to make sure I sprinkle some simple syrup on the layers under the icing/filling to moisten the cake. Sponge cakes tend to be on the dry side and this help moisten them up. Can you make this at home, sure you can. You will find that homemade cakes are much better than box mixes. You know what your ingredients are and best of all no preservatives. Sure it make take a little more than than just opening up a box and adding some eggs, butter and milk, but this is so much better. 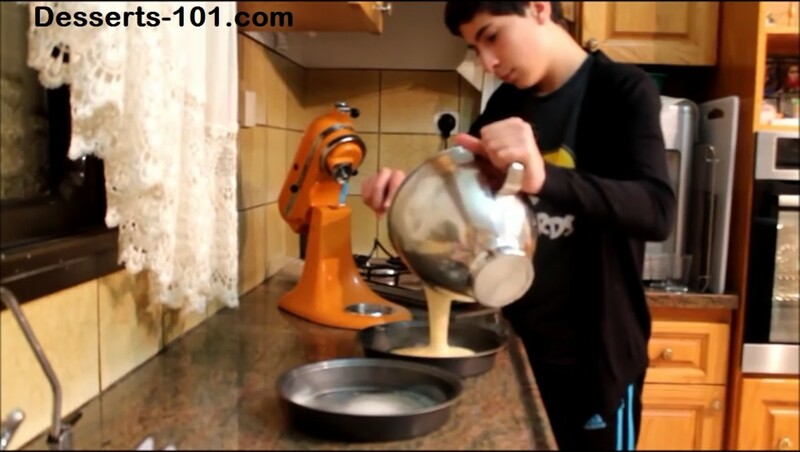 Follow along as I show you how to make vanilla sponge cake, share my recipe and show you in a video too.